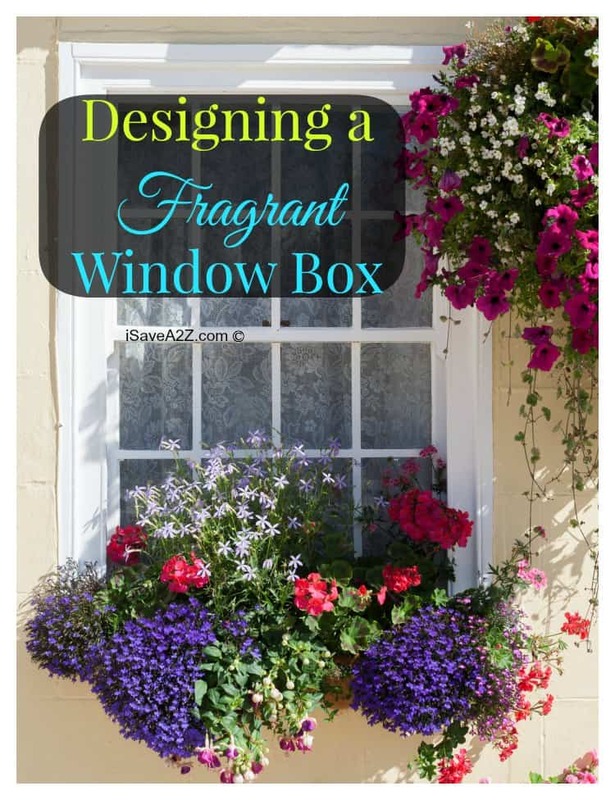 The benefits of designing a fragrant window box are two fold, you get a beautiful potted centerpiece for your window or patio and also get to enjoy the fragrance that all the flowers in the container provide. Fragrant flowers come in all sizes, and many of them are suitable for container planting so adding them to a window box is a decision that works out well. Whatever time of year you decide to add this window box combination to your window, you’ll be able to enjoy the fragrance of the flowers and some of the selections can even be harvested for use in the kitchen or home. Use these tips to design a fragrant window box that everyone, including the birds and insects, can enjoy all summer long. Like any other potted container you need to make sure that the window box that you are using is able to keep plants moist but not overwhelmed with water and water logged. Use a plastic liner in the inside of the window box, ensuring that it has holes for proper drainage. A wire planter would do well with a thick coconut liner that provides good aeration to the soil but is also able to retain water. Because the only soil the plants in the planter will be able to receive is the soil that you place in the window box, it is important that the soil is well fertilized and watered at all times. Use a healthy mix of soil and compost that is able to retain moisture and won’t become compact over time. Many fragrant flowers do well in soil that drains properly and isn’t retaining water so make sure that the soil has an extra easy time of draining itself after being watered. Sweet peas and moonflowers are two great trailing flowers that are very fragrant. Sweet peas come in very early in the spring and bloom just once, but the scent that fills the window box is intoxicating. Likewise, moon flower produces a great scented flower, but it only blooms in the evenings when the temperature has dropped. Lily of the Valley and Grape Hyacinth are two bulbs that are known for their fragrance, being able to scent entire gardens with the addition of just one or two plants. Both of these are low growing flowers and can be added to the middle or foreground of any planter. Plant either or both of these in bunches for the most impact. Sweet Alyssum and Thyme are two very fragrant ground cover flowers that can be added to the edges of window boxes and grown over the sides of the box. Thyme plants come in a variety of colors and scents, so pick your choice based on scent preference– floral or citrus. Sweet Alyssum produces tiny flowers that create a carpet of color and scent, again choose according to your personal preference when it comes to the color choice you want, or choose something that will contrast with the rest of the flowers in the box. Be sure to check out our Raised Garden bed and Daisy Garden posts! I think you will like them! We have a huge category of gardening information found here too. By Jennifer on March 29, 2014 Gardening. I love your ideas. 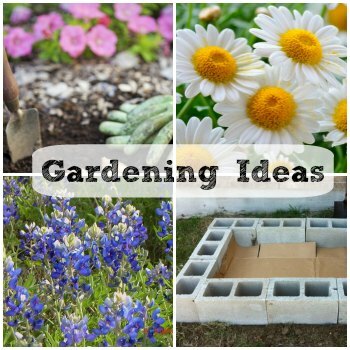 I’m attempting to try your cement blocks raised garden bed now and will blog about my experience. With the window box, do you ever have an ant problem?